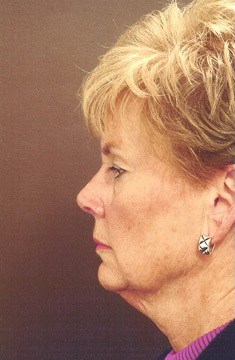 Facial rejuvenation with browlift, blepharoplasty (no touch lower lid) and anterior neck rejuvenation through a submental incision. 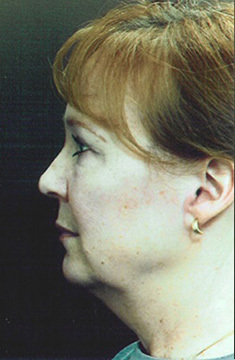 Because this patient’s jowling was minimal and her cheeks did not need to be elevated, the lower face and neck could be treated without an incision around the ear, but just one under the chin, through which a small amount of fat was removed and the muscle was tightened. 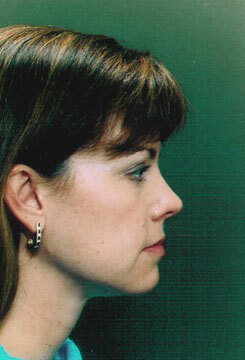 I like this option when it can be employed for the neck, and it is a particularly good one for men. 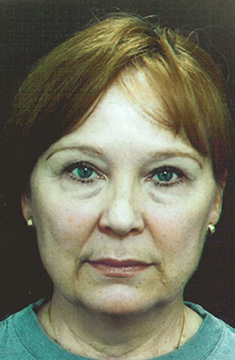 Notice also how the browlift opens the upper face and makes the eyes appear larger. 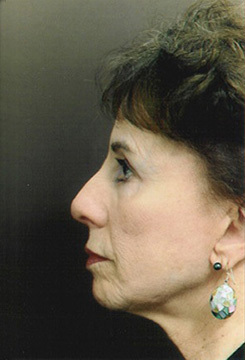 This patient needed only limited changes in the lower face and anterior neck, which could be performed through a short scar facelift that ran from the sideburn only to the earlobe on each side. 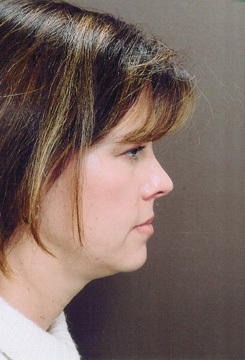 In the right candidate, the technique is effective and patient recovery is relative quick. 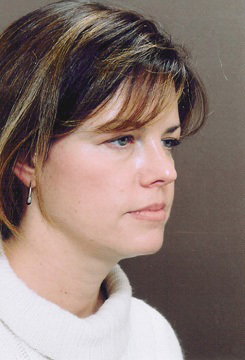 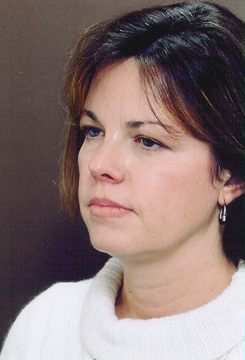 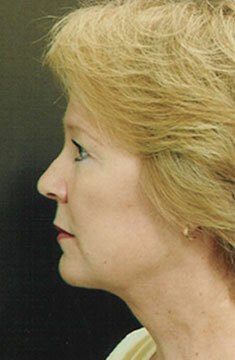 This patient has the more usual pre-facelift appearance, with a loose interior neck, jowling, and check laxity. 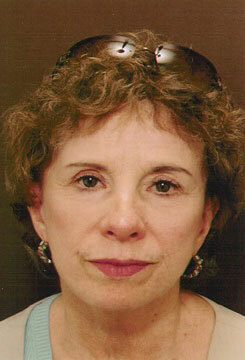 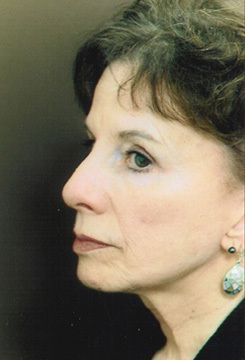 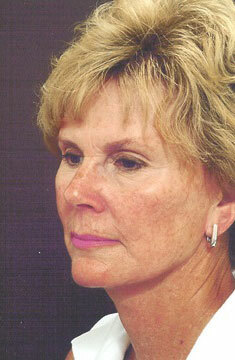 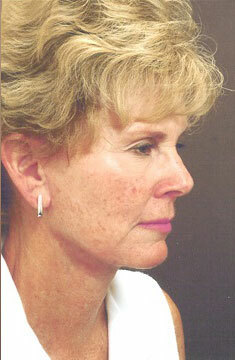 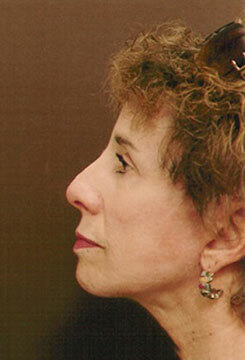 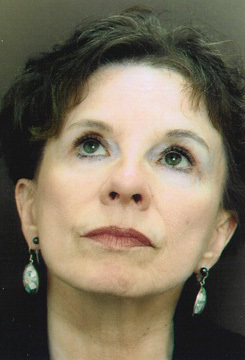 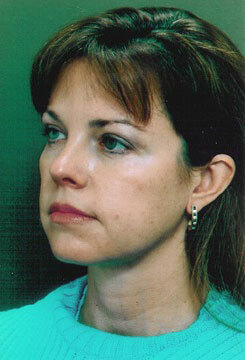 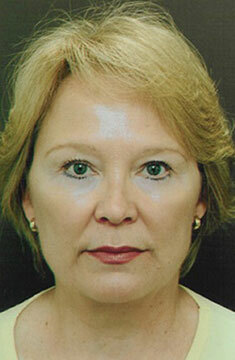 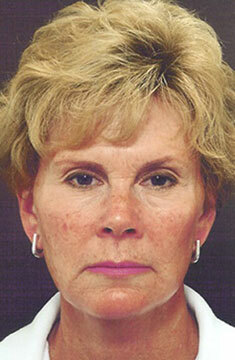 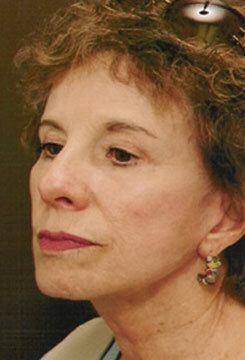 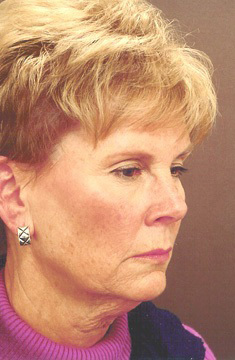 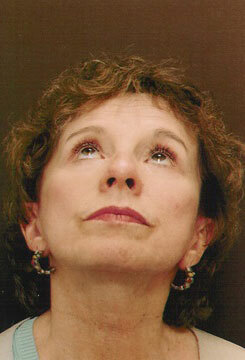 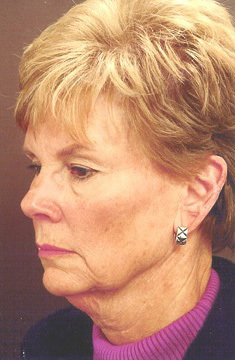 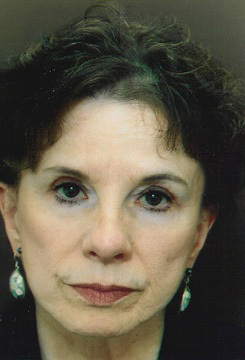 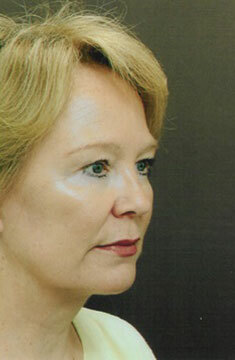 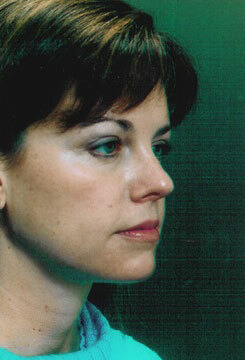 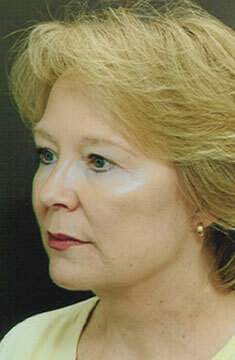 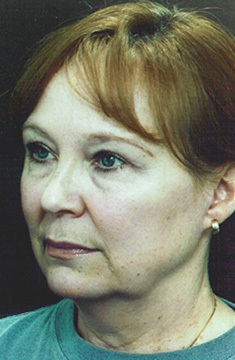 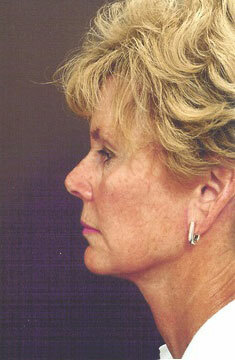 The facelift was performed through incisions around the ears and in the crease beneath the chin. 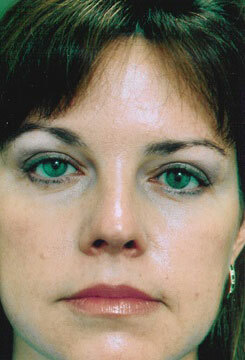 In addition, texture, color and pigment of her skin was improved through Skin Solutions. 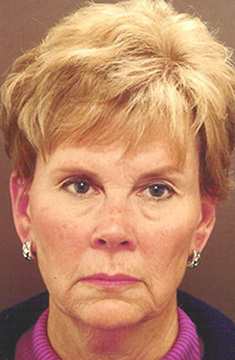 This patient has also had a dramatic change, not only from the facelift surgery, but also from the rejuvenation that comes from lower eyelid surgery alone. 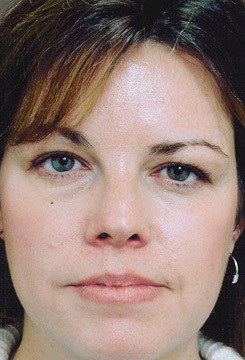 This is why I consider blepharoplasty to be a ‘best buy’, because it produces a striking effect in many patients with a limited recovery. 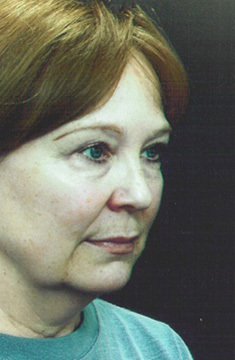 Notice also the significant change in skin texture, color and smoothness provided, not by the facelift or laser, but by Skin Solutions.